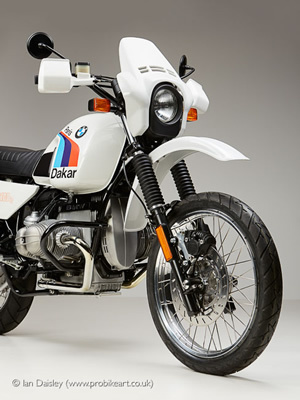 Each motorcycle is individual and it's starting condition has a large influence to the cost of the rebuild, so prices do vary from project to project, and are available on request. To reserve a bike or rebuild slot please make contact and describe your requirements. I will then draw up a provisional written agreement between us, including the identity of the motorcycle and works to be undertaken. Any additional bespoke options will also be described. I will prepare an estimate for the works and an estimated date commencement of completion of our project. You will then be asked to agree to the contract in writing and provide a 10% deposit on the total (if you change your mind prior to the start of the build I will refund half this deposit). This reserves the rebuild project bike and the all important calendar slot. 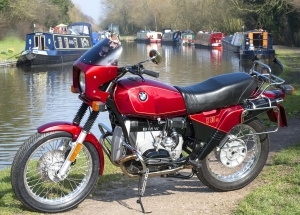 Once the date arrives to start your motorcycle, a further 20% deposit of the total cost of the build will be required. 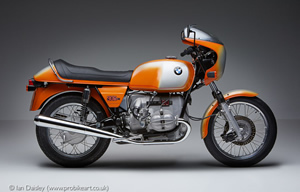 A full photographic history of the strip down and rebuild will be provided and I can offer professional, studio photography of the bike with framing facility. No more rebuild slots can be reserved presently, sorry. This motorcycle has been located on behalf of the new owner, by BaMW. The owner has commissioned a full BaMW rebuild to concourse standards. This will be the third motorcycle this customer has had rebuilt by me. Reg: EEE 74Y - Mr Lancaster has commissioned a full BaMW rebuild to concourse standards. Mr John Nicholls has reserved for a BaMW rebuild to concourse standards. This is a genuine, original Kalahari. One German lady owner from new. 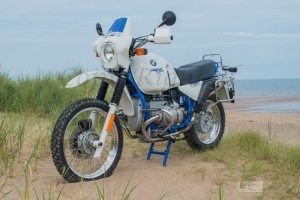 Now reserved for full rebuild, to BaMW Special addition 4, with 1070cc performance pack. 90 BHP at the flywheel, rolling road proven. Reserved by Mr Nichols of Scotland. Mr Thacker - Suffolk, UK. 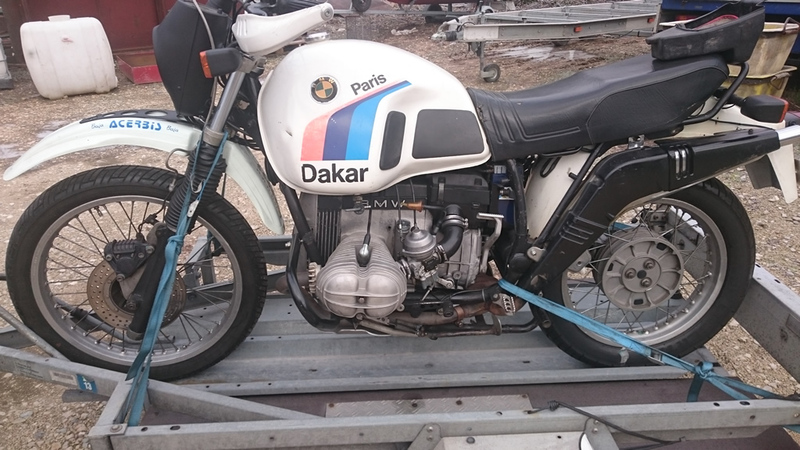 Genuine Dakar, one of only 200 made in August 1984. No more made until May 1985. Tank signed by Gaston Rahier. Now Reserved for full BaMW rebuild in 2018. 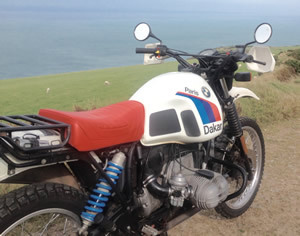 Genuine factory bike, supplied to BaMW by the customer, who is the second owner from new. Matching numbers, blue from original & to be rebuilt the same. 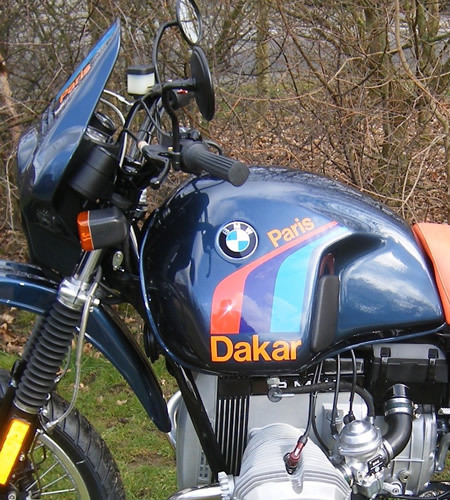 '86 R80g/s, Paris Dakar - Certificated, Factory Original. Now Reserved for full BaMW rebuild. The general processes carried out, remain constant. 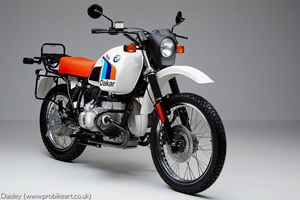 This is not a definitive list, but meant as a quick guide if you wish BaMW to restore your bike, or buying a restored bike. 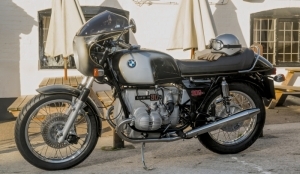 A full restoration schedule and parts list are provided, with an estimated cost following inspection of the bike. Wheels - hubs checked, vapour blasted, bearings renewed, rims professionally polished, re spoke with stainless steel. New Akront sticker for each rim. New tyres, to a customers choice fitted and balanced, prices vary, some additional charges apply to some tyres. Gearbox, complete strip down. Fully reconditioned (replace all 6 bearings, including the expensive one, not 3 as is common practice with other restorers!, springs, seals etc. 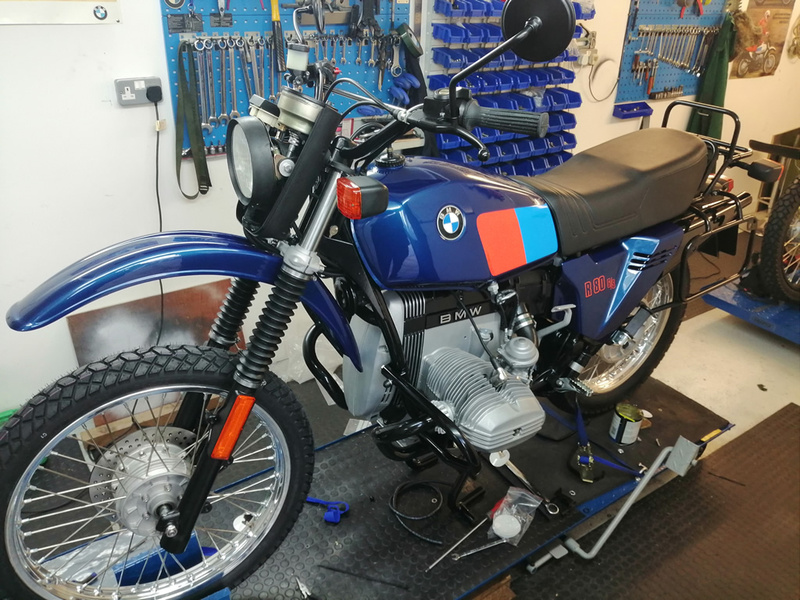 - Vapour blasted - Ultra sonic cleaned) (Longer 5th gear or shorter first gear applications are an option) New clutch driven plate fitted as standard. Engine block - Full strip down. All parts examined for ware, outside Factory tolerances. Crank case vapour blasted to original finish. All seals replaced, main bearings, little end bearings, oil pump renewed, timing chain new, with tensioners. Cam shaft and followers checked and replace, where necessary. Transmission. completely stripped and re finished. All bearings renewed, all seals and gaskets replaced, where necessary. This includes bevel drive and shafts. Brakes. Completely stripped, examined, new parts fitted where required, usually - new discs, pads, brake pipes and hoses. I use graded hoses, black plastic coated. Painted parts: Each item is stripped and examined. Remedial repairs are made, where possible, or new OE replacements used. Each part is finished to the highest standards, by a renowned UK specialist in this field. Flexible undercoats are used for the flexible items like fenders, to prevent paint peel. (as the OE items suffered) I always have the undersides and reverse faces painted as well. No half measures with BaMW! Frame and bolt on parts - All stripped, examined, repaired where necessary, media blasted, hand finished with Scotch bright to smooth factory raw finish., then powder coat (undercoat). left over night to harden, then top coated to Concourse, show standards. I've tried 5 different companies, to get the finish I require. Electroplating. All bright metal, is de-rusted by hand. Each tiny piece, one at a time. Each piece is then triple dip electroplated, to my very own recipe. Polishing - All exhaust, where SS are re polished. New exhaust can attract an extra premium cost. 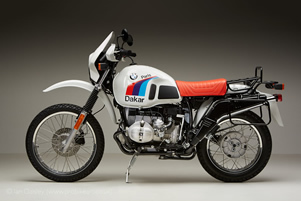 In this case each bike is dealt with on its own merits. All aluminium surfaces are re-finished to better than OE standards, with a two stage process - Media blasting - then vapour to get the right finish and clean the surface to help deter dirt deposits there after. All chrome parts are professionally re finished, where required. All wiring looms are checked and either re insulated or replaced, dependant of condition and serviceability. This goes for all other electrical components. A new battery and starter motor are fitted as standard. All fasteners are replaced with A2 or A4, QUALITY -stainless steel, depending on application.